Being a virtual assistant is kind of like being an administrative assistant but from home. This can be a great position for someone with an administrative background. Find out how to find virtual assistant jobs online and three different ways that you can start your career. A virtual assistant does many of the types of tasks that an administrative assistant would do. These can be anything from clerical, organization type tasks to writing or technical tasks. Some virtual assistants prefer to cover all aspects of being a virtual assistant while others prefer to specialize. For instance if you have a background in social media you could work as a virtual assistant specializing in social media. Some virtual assistants tend to offer many different kinds of services based on whatever they have experience with in the past. This can range from administrative tasks, social media, marketing, email management, writing to more technical things like IT or website design. The nice thing about starting your own virtual assistant business is that you can offer whatever services you are comfortable with offering. Some virtual assistant jobs online are for those that only specialize in certain things and might hire several different virtual assistants to help their business. Some business owners might have a Pinterest virtual assistant, a Facebook virtual assistant, an ad manager, etc so don’t be afraid to pick a small niche within the virtual assistant world and specialize in that. If you decide to be a kind of all encompassing virtual assistant business offering a wide variety of services you may find a need to subcontract out work in the future to those who might be able to fill in with services you are not as knowledgeable about. As a virtual assistant you can work with business owners and bloggers to help them stay organized and grow their business. Still not sure what types of services to offer? Visit this list of 150+ VA Services you can offer. Your first option if you want to get a virtual assistant job online is to apply to work for one of the companies that hires work from home virtual assistants. This is a great option if you have some administrative skills but no real experience as a administrative or virtual assistant. These companies pay per hour and some require a commitment to certain hour or a minimum number of hours per week. In the case of working as a subcontractor or employee then you will normally get paid an hourly rate and would say around $15 an hour is an average to start. If you are new to the world of being a virtual assistant, have no previous administrative experience, or just don’t want the hassle of the details of running your own business then you can apply with these virtual assistant jobs online to start your virtual assistant career. There are a couple of virtual assistant jobs online that actually hire you but most others are more like a staffing agency and assign you to different projects. Many Virtual Assistants register with several companies in order to get plenty of work. The second option is you can work for someone else who has started a virtual assistant business. Usually how this works is they run the business side of things, all communication with clients, and managing the other virtual assistants. The VA’s they hire are sub-contractors that usually work for an hourly rate and specialize in certain kinds of tasks. For example someone running a virtual assistant business from their home might hire other virtual assistants all around the country and then divide up projects and task based on their specialty. These virtual assistant jobs online might be for writers, social media managers, ad managers, and graphic designers all on their team and everyone works on their own tasks but together complete projects based on their individual tasks. If this sounds like something you are interested in the best place to find these types of jobs is in Facebook groups like The VA Virtual Cafe where business owners will post virtual assistant jobs online they are hiring for. The third option is to start your own virtual assistant business. The obvious benefits to this is that you have the ability to make a lot more money than an hourly rate, you get to make your own hours, take on only the clients you want to work with, and can scale it according to how big or small you want your business to be. 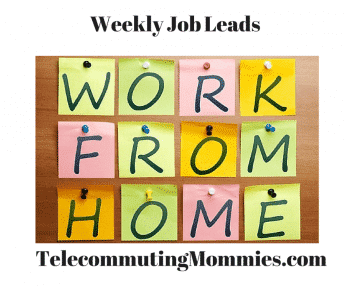 The downside is that there is no guaranteed income like with an hourly work from home job. It may take a while to get clients or there may be times where you are in between clients and without income. If you start your own virtual assistant business then your income potential is endless based on how many clients you bring in. If you do start your own business you have to promote yourself and possibly spend money on things like a website and marketing so there would be some expenses. What if I don’t have any experience as a VA? 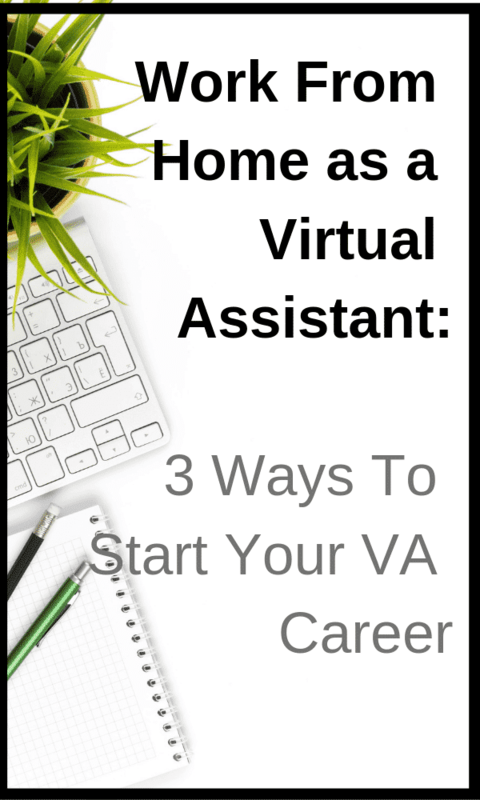 We discussed earlier that if you don’t have past experience as a VA but maybe have some clerical or administrative experience then maybe starting in one of the virtual assistant jobs online might be a good way to start. You can always get more experience and start your own business in the future. If you have your heart set on starting your own virtual assistant business but are lacking experience you can always choose to take some online courses to gain those skills. Often these courses come with either some kind of certification or you are added to a list of those who have completed the course and are available to offer their services. Not only do these courses teach you skills you didn’t have before but they also usually help you get clients. For example I took the Moolah Facebook strategies course and was added to a list of those who have gone through the course and seen results from it. Now when someone joins their Facebook group and gets interested in the strategies the course offers but either doesn’t have the time or the money to go through the course themselves they can request the list of those who have. Usually the investment in the course is quickly earned back. Here are a few of the resources I recommend for those who need to add some skills to their repertoire. We discussed the different options as far as what services to offer and this will vary based on your own personal past experiences and skills. To decide how much to charge for your services you can try doing some research to find out what others are charging for similar services but besides that you need to consider how much time the types of tasks you will be doing generally take and how much you need to be making per hour. This doesn’t necessarily mean you need to charge an hourly rate however. For example if you were going to start a business as a virtual assistant doing Facebook management you could decide that for Facebook pages under 100,000 audience that Facebook management takes 3 hours per week and you want to make $30 an hour so you could offer Facebook management packages starting at $100 a week. This is just an example and totally depends on your experience of course. If you have a lot of previous experience as a virtual assistant and have testimonials or stats to back up what you are capable of doing you can probably charge more than someone that is just starting out. If you are just starting out and have trouble getting clients at first you can offer a really low rate to start with in exchange for a testimonial from them afterwards. Of even offer a friend a month of free services in exchange for a review to get started. To get started you should research the different types of business structure and look into the laws within your state about registering a business or getting a business license. If you are not sure how this whole virtual assistant business is going to go and don’t want to get overwhelmed by all the legal stuff you can operate as a sole proprietor without doing anything legally. This means you don’t need an EIN either, you just use your SSN. If your business grows you can always switch to one of the other business structures. Next, you need to set up a website to market your business. If you are a blogger or have a website for another purpose you can always just add a “Hire Me” page on to that. Your site should let people get to know you, your skills, past clients, your services offered, and a way to contact you or schedule a consultation. So you have your business and your website set up and now you need to find some clients. Some people who have worked as administrative assistants or virtual assistants in the past might have a particular niche of the types of businesses they have worked with and this can help narrow down where to find clients. For example, if you have worked a lot with real estate clients in the past then you can research and contact local real estate companies in your area or use LinkedIn to find real estate businesses to reach out to. Even if you don’t really have a target market you have worked with in the past it can be helpful to narrow down a target market that you would like to work with. There are a lot of different Facebook groups you can join as well to find clients. You can look for groups dedicated to business owners within your niche or join a group like VA for Hire where you can post services you are offering and find people looking for those services. Once you find some interested clients you can conduct an interview. Remember the interview is as much for you to decide if they are a good match for you as for them. You can talk via phone or Skype or some bloggers I have worked with simply have an email exchange. Make sure your price structure is for a certain time period so that both you and the client can end the relationship after that amount of time if it is not working out. Ask the prospective client questions about past VA’s they have worked with, what they did and didn’t like, specific goals they are trying to reach, and what results they are looking for. When first starting out you can use something like Paypal to invoice clients but as you grow you may want to switch to Freshbooks. You can use Freelancers Union to create contracts between you and your new clients.Once you start working with a client make sure you track data. Take screen shots to start so you have a “before” to compare and be able to show results later. Also, don’t be afraid to ask happy clients for a testimonial after a couple months. You can add these to your website to bring in even more clients. Good luck! This post contains affiliate links but I never recommend products or services I do not truly believe in.